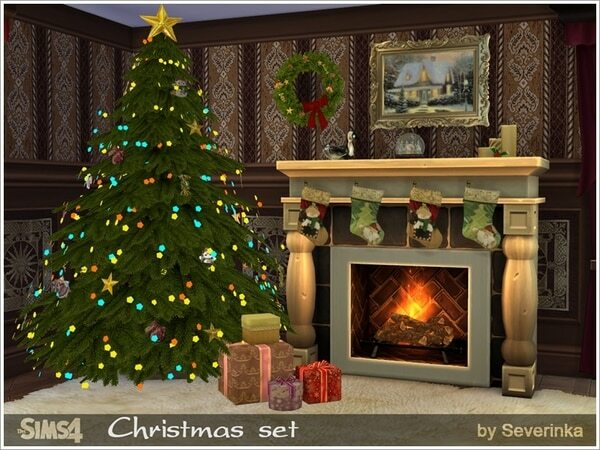 This Set has been brought to you by The Sims Resource member – Severinka_! Set decoration for Christmas. Wonderful green Christmas tree with toys, sparkling garlands, decoration for the mantel, gifts – all this will make an unforgettable Christmas evening at your Sims. The compensation all objects in a traditional style. Click on the picture below to download this Set! Click Here for more information on how to install Custom Content! The Sims 4: No December Update this week!